How to open the unknown / new format files, which software is not available in system? There come many kinds of format files in the emails that are sent by the friends. Among those files some are known and some are unknown to us. Then to open the new file using an extension one has to know about the Dot What online service. It is well known that to open any kind of file that needs the supporting software in our system. In case if you have to open a file using the new extension, log in to the site www. 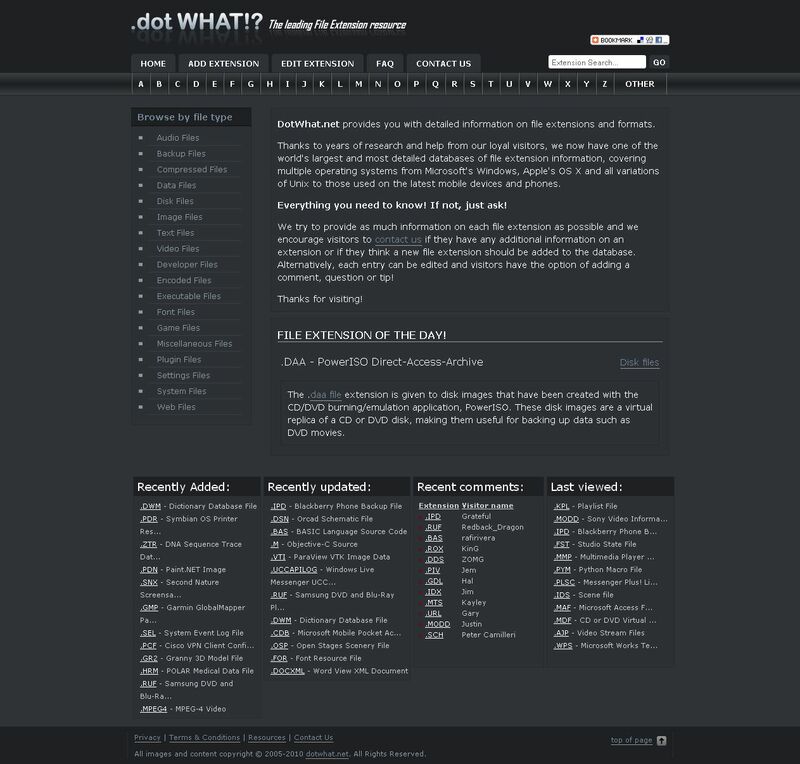 dotwhat.net . The secret of the three letters extension can be known. In another word, it is a treasure which tells about the file formats that are been used in the Microsoft windows, Linux, Mac and other details. The extensions can be done based on the A to Z letters. To find any kind of extension one can search in the Extension Search. For example, to know about the tiff, by searching in the search box, almost all the details of that file are given in the Windows, Apple, Mac, and Linux OS and so on. The extension of the file can be browsed using the Browse by file type list, which is there on the left side of the site. Using the Add Extension and the Edit Extension, the information and the desired things can be saved and stored in the database. « How to re-design the desktop? | Rainmeter.net software can help to design the desktop	» How to find out and Remove the Duplicate files in my system?